I am SO loving this look! I’m really into plaid right now and I love that dress! Looks amazing on you! Lauren Conrad (LC) for Kohls has my favorite leggings. Ooo good tip- I need to check them out! I love this!! 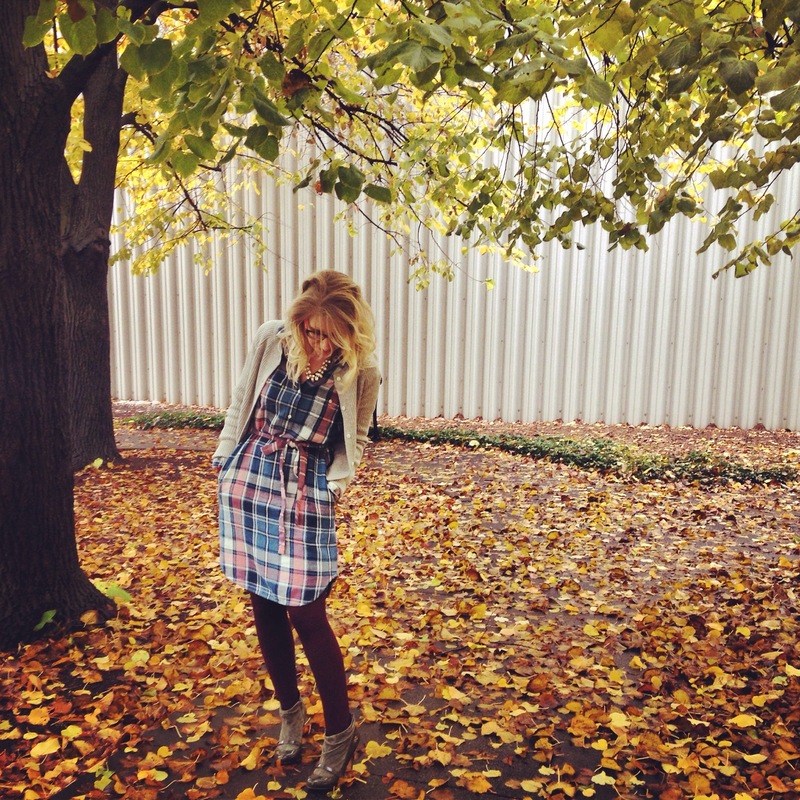 Need to find a cute plaid dress!! So gorgeous! And those Fall leaves definitely don’t hurt the ambiance! That is too funny! I loved your post too~! Hue is the best brand for tights!! Love the dress!!!!! And the shoes are so unique and a gteat deal! Holy amazing shoes, batman! I LOVE LOVE LOVE them!!! Seriously impeccable pairing with the tights and that flannel shirt dress was an incredibly lucky find. Great photos too… Man I wish we had fall foliage like that around here! I’m pretty much obsessed with those shoes! I got them probably 5-6 years ago before booties were popular (probably why they were on clearance!) and I still love them like the day I got them! So, thank you :)! those leaves are definitely the perfect prop for the season 🙂 lovely outfit! $13!?!?!?! Holy smokes that a steal for that dress!! I’d live in it! Gah! I have been so ridiculously busy, I have missed out on your posts!! Love the color combo of burgundy with gray and plaid..super comfortable outfit indeed!! Always gorgeous… I do love a shirt dress! Love this!! 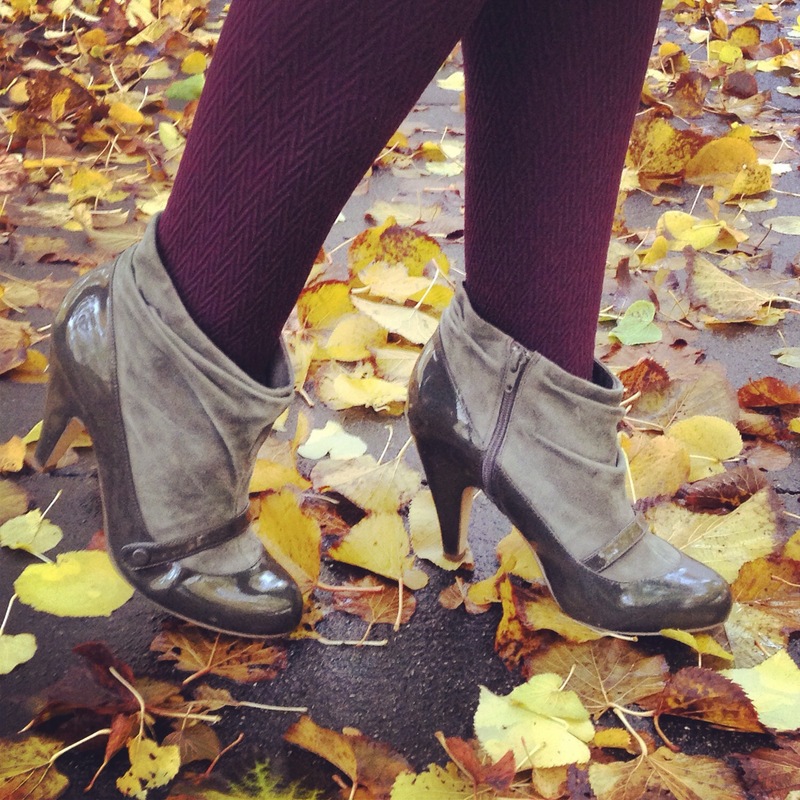 What a great shoot for fall; the leaves are so pretty and so is your outfit! Great tip on Hue tights; they’re such a good brand. Obsessing over how funky your heels are! Seriously girl, I want them 🙂 Great look, love the colour combo too! How cute is your dress?! Totally adorable. I need more plaid in my wardrobe. 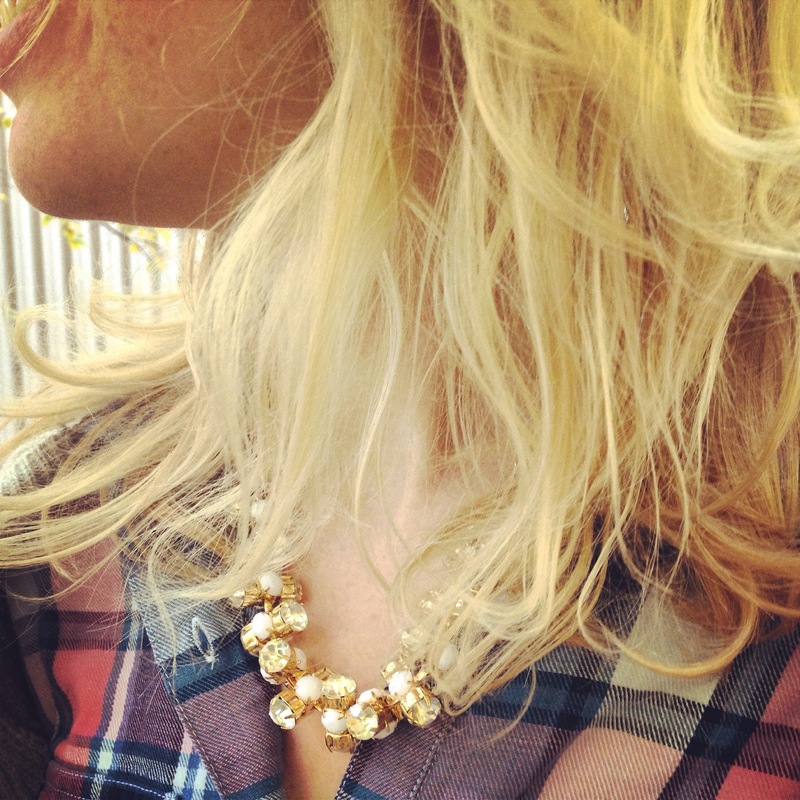 How to get more plaid when I’m on a shopping ban?! 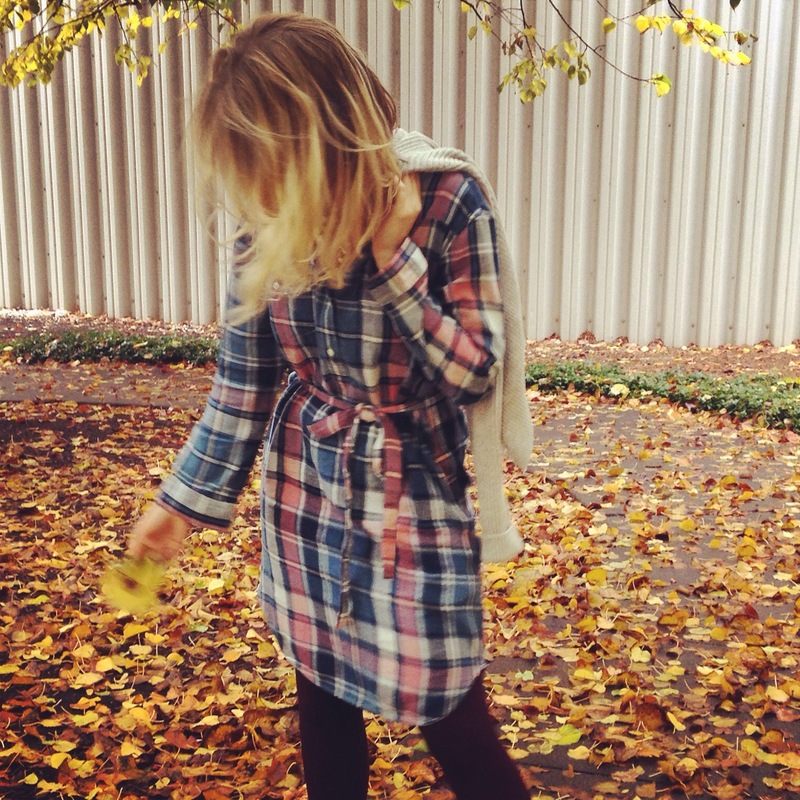 that dress is so perfect for fall – gorgeous! love the look. it’s so fall appropriate! Love the plaid dress and the photographs are truly gorgeous!! 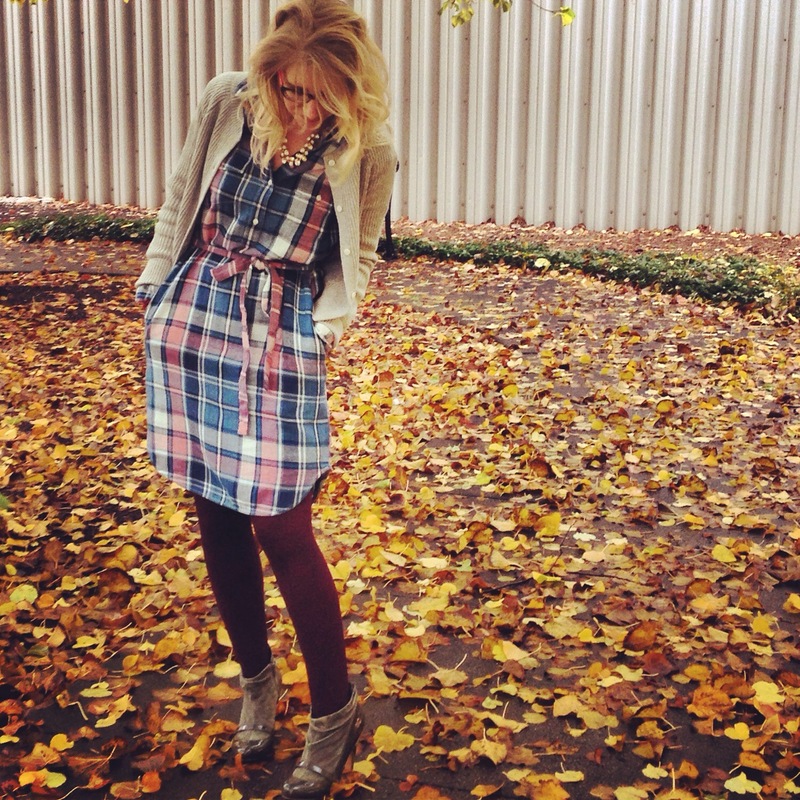 This plaid dress is amazing, I love the colors and the tights!